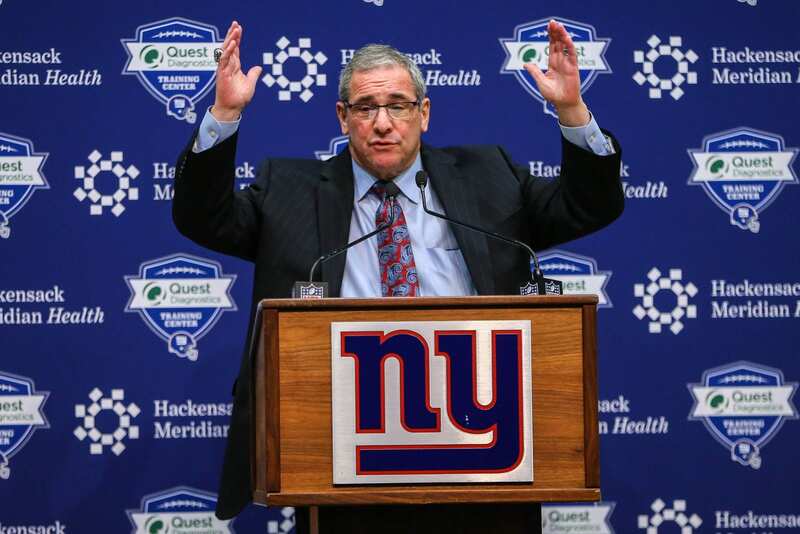 Home New York Giants Should The New York Giants Take A Quarterback In The Draft? Should The New York Giants Take A Quarterback In The Draft? It sounds like a no-brainer, but the answer to the question about whether or not the New York Giants should draft a quarterback isn’t so simple. Yes, it’s true that the team likely needs one and that Eli Manning’s career may come to a close soon. But just because you need a quarterback doesn’t mean that you should draft one, even if that sounds like a massive contradiction. The Cleveland Browns have taken plenty of quarterbacks because of need. And until maybe now, none of those quarterbacks drafted in recent years have done much for the team. Taking the right player is more important than taking a player at the position immediately, and the idea of getting a free agent quarterback or trading one shouldn’t be ruled out. After all, it’s nearly impossible to tell which is the right quarterback at this point. Oregon’s Justin Herbert was considered the future number one overall pick during the early part of the season, but Herbert’s completion percentage has fallen and Oregon has dropped out of the race for the PAC-12, with Herbert failing to keep things competitive by leading the offense in their losses. Herbert fits the mold of an NFL quarterback, especially with his 6’6″ height, but he’s by no means a perfect prospect. You could argue that he has less hype behind him than Sam Darnold or Baker Mayfield did coming out of college before the 2018 Draft. It’s not that Herbert is the only prospect out there. Missouri senior Drew Lock was one of the favorites to be a high draft pick before the season began, and he just led Missouri to an upset win of a Florida team ranked in the top fifteen. Lock threw for 250 yards and three touchdowns in that game. However, he had his own rough patch of games earlier in the year. No touchdowns and one interception against Georgia. No touchdowns and two interceptions against South Carolina. One touchdown and two interceptions against Alabama. Lock is by no means a perfect prospect either, despite some hype also existing around him. When there’s no surefire top prospect, a team has to be careful with drafting their quarterback of the future. Draft wrong, and it’s easy to end up like the Cleveland Browns. It’s a big setback to end up with the wrong quarterback, so sometimes, it’s better to just go for a free agent and wait for a year where there’s a more surefire solution. There are some decent options that might be available this offseason, such as Tyrod Taylor and Teddy Bridgewater. Even Philadelphia quarterback Nick Foles could be in the mix. While none of these players seem like franchise quarterbacks, it’s possible to keep them for a year or two while continuing to wait for a chance to draft a franchise player in the draft. Of course, there is a chance that there’s a great quarterback in this upcoming draft who will become an immediate starter and help some team turn their fates around. But according to the odds, it’s more likely that some of the top drafted quarterbacks will end up with the same fate as, say, Brandon Weeden. And when you can’t tell with a good level of confidence whether or not that would happen, it can be better to just take the sure thing and go with the lower ceiling but higher floor option. Can Eli Manning Play A Part In The Future For The New York Giants?